The Provence 60 in. vanity is offered in a beautiful distressed cherry wood finish with hand carved French details. This vanity comes with all soft-close doors and drawer glides. Coordinating pieces include matching mirrors and linen tower to complete the look. Form meets function with this chic 36" white Bosconi vanity set. The simple modern lines are accentuated by the ceramic integrated sink and perfectly matching vanity mirror. Versatile features include a single cabinet with soft closing doors and one detached side cabinet with three drawers. All spacious enough to store all of your accessories and bathroom essentials. Transform your bathroom with a beautiful granite vanity top with attached undermount porcelain sink. Perfect for quick and easy remodelling, this vanity top will help you obtain the beauty and durability of natural granite without hiring a professional. Designed to add sophistication and elegance to any bathroom, this granite vanity top is made with a natural material and variations in colour may occur. This granite top is easy to install and fits directly on top of any standard 36 inch vanity cabinet. 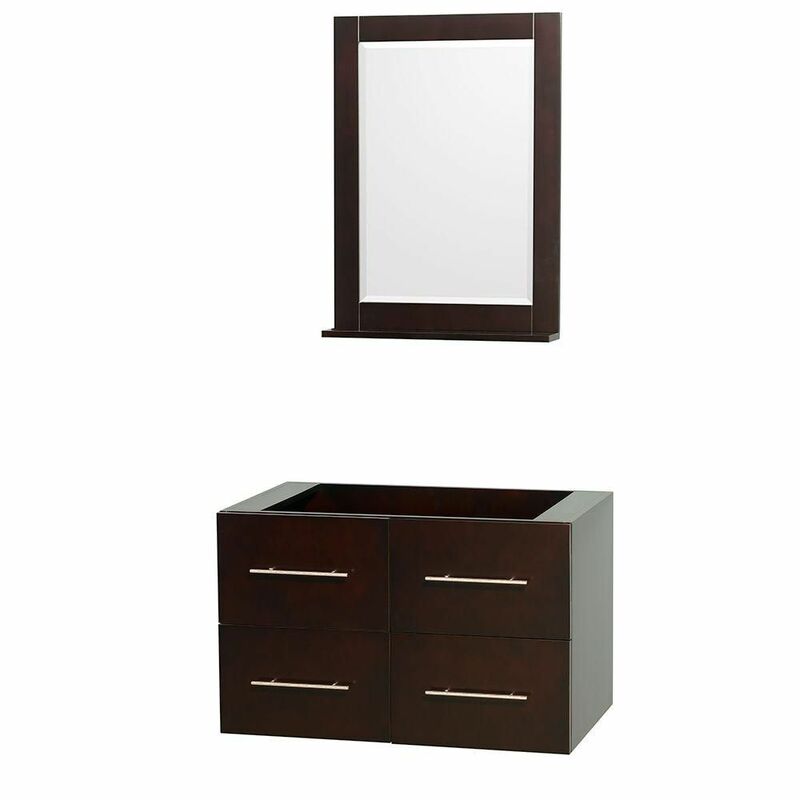 Centra 36-Inch Vanity Cabinet with Mirror in Espresso Simplicity and elegance combine in the perfect lines of the Centra vanity by the Wyndham Collection<sup></sup>. If cutting-edge contemporary design is your style then the Centra vanity is for you - modern, chic and built to last a lifetime. Featuring soft close door hinges, drawer glides, and meticulously finished with brushed chrome hardware. The attention to detail on this beautiful vanity is second to none. Available in several sizes and colors.